The public council of the Regional Development, Construction, Housing and Utilities Economy Ministry of Ukraine believes that the unified register of technical survey of real estate facilities should be created in Ukraine. 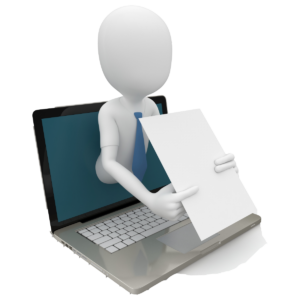 “We propose to the Regional Development, Construction, Housing and Utilities Economy Ministry to create an electronic register of technical survey materials. Notaries, lawyers, employees of the centers of administrative services will be able to verify in the register if the survey has been provided with a technical passport,” Head of the ZakhidTekhInventaryzatsia association Andriy Davydiuk said at a press conference at Interfax- Ukraine on Tuesday. He said that the electronic register will allow verifying the authenticity of technical documents, as well as providing rescue services with useful information. “On April 19, the first Ukrainian congress of engineers for the technical surveys of real estate is planned to be held in Kyiv, where we plan to create a unified platform and develop draft recommendations [on improving the technical surveys],” Head of the public council at the Regional Development, Construction, Housing and Utilities Economy Ministry Pavlo Mikhailidi said. 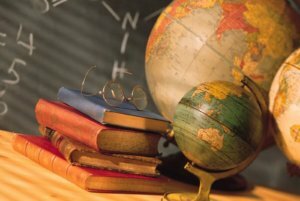 Chairman of SkhidTekhInventaryzatsia Illia Meleshkin said that the technical passport in Ukraine does not give enough information about a real estate facility, in particular, its location. This information in open sources would relax work of rescue services, he said. Davydiuk said that the public real estate technical survey register would not affect privacy of real estate owners as opponents of the creation of the register believe. “Since 1998, constructors place information about construction projects on their websites and layouts of apartments are available to the public. When apartments are sold online, their layouts and passports are also posted. One should not be afraid of it,” Davydiuk said. Biopharma pharmaceutical company in 2017 won tenders under five medicine procurement programs funded by 2016 and 2017 national budgets held by international institutions, the company has told Interfax-Ukraine. These are medicines to treat patients with primary immunodeficiency diseases, Anti-D Immunoglobulin to prevent ABO hemolytic disease of the newborn and medicines to treat patients with cancer and patients with disseminated sclerosis. International institutions bought medicines under the cardio-vascular and cerebro-vascular disease programs using budget funds from the company. Biopharma supplied around 48,000 packages of medicines via central procurement schemes. 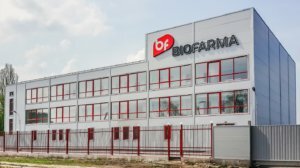 Biopharma President Kostiantyn Yefymenko said, commenting on international procurement, that Biopharma’s request to review the results of a tender to procure blood factor held in 2017 using 2016 budget funds by the United Nations Development Program (UNDP), which Italy’s Kedrion won, was dismissed. He said that it is impossible to challenge the results of these tenders, as international organizations procure using closed-door procedures and use immunity under the international law. “I would say that we won a tender to supply thromboplastinogen using the 2017 local budget held by the Kyiv City Administration,” he said. As reported, in May 2017, Biopharma announced that the company intended to seek a review of the decision on the results of a tender for the purchase of blood from the UNDP, the winner of which was recognized the Italian pharmaceutical company Kedrion, whose offer was 30% ($600,000) more expensive than that of the national manufacturer. Commenting on the initiative to create the national procurement agency, Yefymenko expressed hope that a transparent system of own tenders to procure medicines that would create a system of incentives for national manufacturers would be created. “Our pharmaceutical companies manufacture quite a wide range of products that are rather competitive in the global market and can cover most of our domestic market needs,” he said. 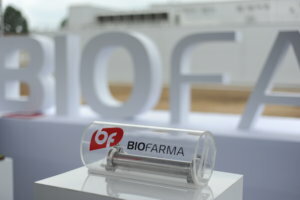 Biopharma is among the ten largest Ukrainian drug manufactures. Biopharma produces immunobiological preparations of blood, as well as drugs obtained by recombinant DNA technology and probiotics. The new Ukrainian SkyUp Airlines (Kyiv) and Boeing Corporation have signed a contract for the amount of $624 million for production of five Boeing 737 MAX planes for the Ukrainian airline, the airline’s press service has reported. “There were no deals of this scape in the Ukrainian aviation industry in the past 10 years. SkyUp Airlines is a first airline in Ukraine which signed a contract on supply of next generation Boeing 737 MAX planes and paid the first tranche,” the airline said. The order includes two next generation Boeing 737 MAX 8 planes and three medium-haul Boeing 737 MAX 10 planes. The five planes will be shipped from the plant in Seattle in 2023. Under the contract, there is an option of ordering five more same planes with the similar delivery terms. Thus, the fleet of SkyUp Airlines would be expanded with 10 newest planes in 2023-2024. “We are delighted that SkyUp Airlines will have Boeing aircrafts in its fleet. We studied all the modifications of aircraft for six months, compared the performance of competing companies and made calculations for our flight plans. Boeing 737 MAX aircraft replaced Boeing 737 Next Generation aircraft and have excellent performance – technical reliability, low operating costs, a high level of comfort and, most importantly, safety of passengers. That is why we chose the high-tech Boeing 737 MAX planes,” SkyUp Airlines CEO Yevhen Khainatsky said. 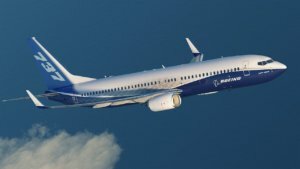 According to him, Boeing 737 MAX 8 with a capacity of 189 seats will allow the airline to service medium-haul flights and Boeing 737 MAX 10 with a capacity of 230 seats will ensure the implementation of charter programs on popular destinations like Turkey, Egypt, Spain and other countries. “Both types of aircraft have low operating costs, which will allow the airline to significantly reduce the cost of flights and offer a quality product at an affordable price to the market,” Khainatsky said. The first section of a future fractionation unit has arrived at the plant in Bila Tserkva. Eastern Europe’s unique water treatment systems are being unloaded in Bila Tserkva at this moment. “The fractionation unit was fully assembled and tested at a production facility of a design bureau in Italy, and now its parts are delivered to Ukraine piece by piece. A team of the engineers who developed a bioreactor system will arrive in Bila Tserkva soon, and the equipment will be installed and commissioned under their supervision,” President of Biopharma Kostiantyn Yefimenko said. Currently, the company’s plant has completed the supply and testing of engineering communications: electricity, water, wastewater neutralizers, air cooling, fire protection systems, and more. The launch of the production facility is scheduled for the end of 2018. Biopharma is among the ten largest Ukrainian manufacturers of medical products. It produces more than 20 immunobiological drugs from donor blood. 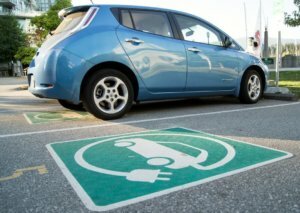 Ukrainian MPs have proposed to exempt from taxation and paying imports duty for spare parts and car and truck bodies for assembly of electric vehicles (cars and trucks) and electric buses in Ukraine, exempt buyers of electric cars from paying pension tax and extractors of lithium, manufacturers of batteries and electric cars from paying profit tax. Bills Nos. 8159 and 8160 amending the Tax and Customs codes of Ukraine were registered in the Verkhovna Rada on March 19 by MPs Nina Yuzhanina, Ihor Kononenko, Maksym Burbak, Oleh Liashko, Robert Horvat and some other lawmakers. Bill No. 8159 introducing amendments to the Tax Code and some legislative acts to stimulate the development of the electric transport industry in Ukraine proposes, in particular, that until December 31, 2028, imports of spare parts for the production of vehicles equipped with one or several electric engines are exempted from paying VAT. For the same period, the bill proposes to exempt the import of bodies (including cabs) for the production of vehicles equipped with electric engines from paying excise duty. In addition, for this period, the payer of the personal income tax may include the cost of purchasing an electric vehicle or retrofitting to it in the tax discount and individual buyers of electric cars are proposed to be exempted from paying a compulsory pension insurance tax. The document provides for exemption from taxation of profits of enterprises that sell lithium of their own production, lithium-ion (lithium-polymer) batteries, battery chargers, as well as electric cars and electric buses of their own production the period until December 31, 2032. In addition, the deputies propose that from January 1, 2021, a share of at least 5% of parking lots equipped with chargers for parking electric vehicles is foreseen. Ukrainian Prime Minister Volodymyr Groysman is in favor of boosting the funding of Ukrainian science and the Innovation Development Fund. “I’m for increasing the funding of science, I’m for an increase in financing of the Fund for start-ups,” Groysman said at a meeting with participants in the Sikorsky Challenge Innovation Ecosystem at the National Technical University ‘Igor Sikorsky Kyiv Polytechnic Institute’ on Tuesday. According to the prime minister, this can be done, including, with the support of an international partner. Speaking in the context of the development of Ukrainian science, Groysman mentioned the need to stop labor migration. As reported, Ukraine’s national budget for 2018 foresees UAH 1.76 billion for the Secretariat of Ukraine’s Cabinet of Ministers (49.8% up on 2017) and another UAH 1.63 billion for the support of a comprehensive reform of public administration. Of this amount, UAH 50 million is allocated for the functioning of the Innovation Development Fund and the creation and functioning of office to raise and support investment.